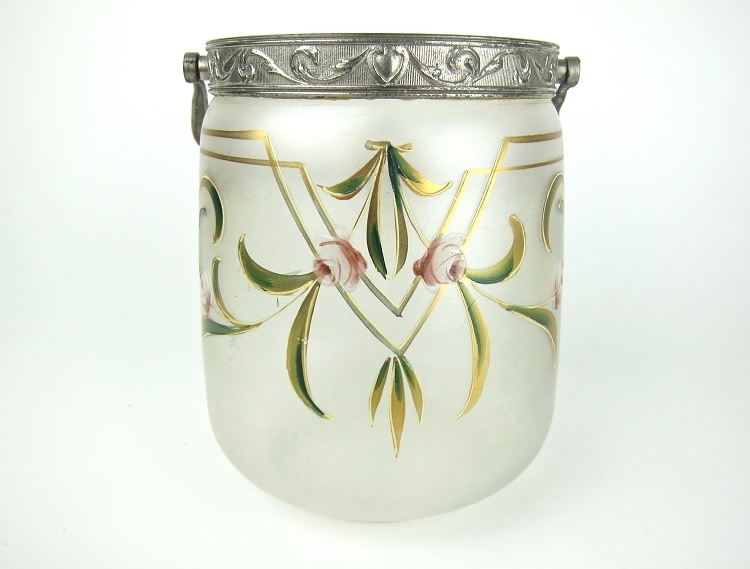 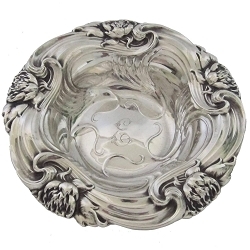 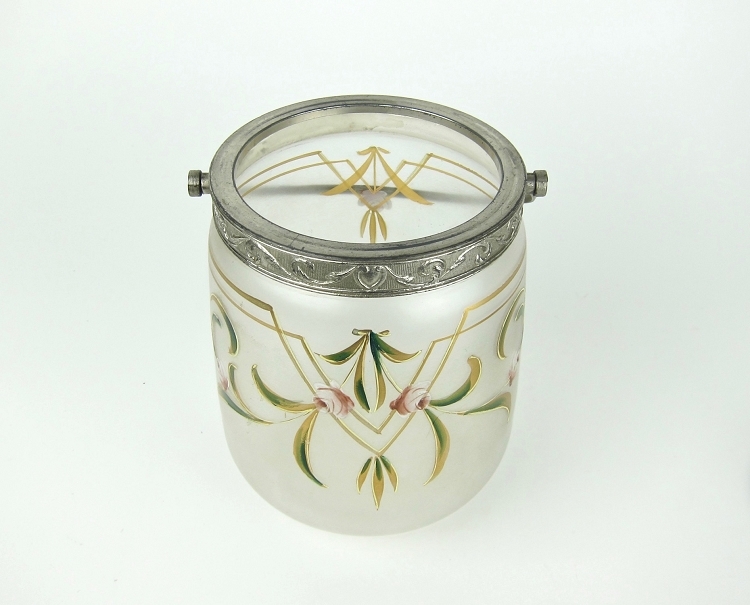 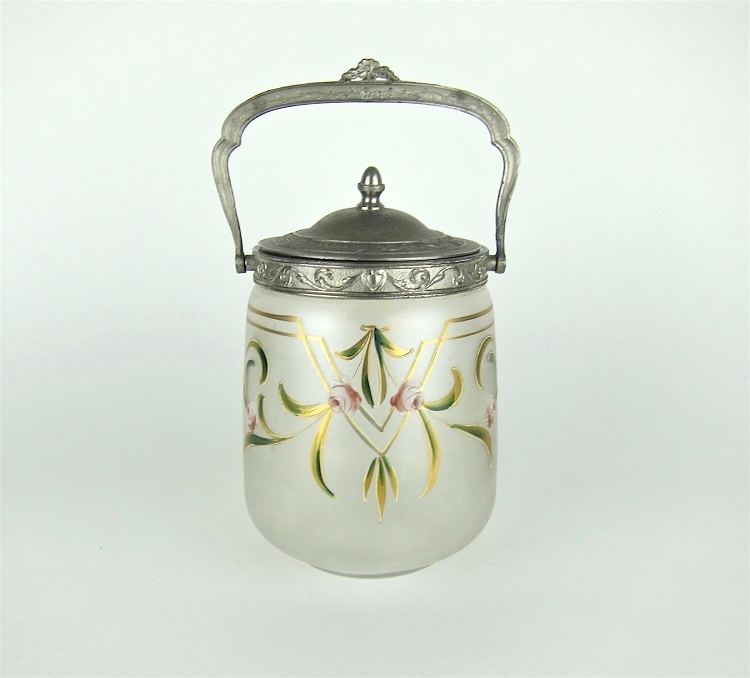 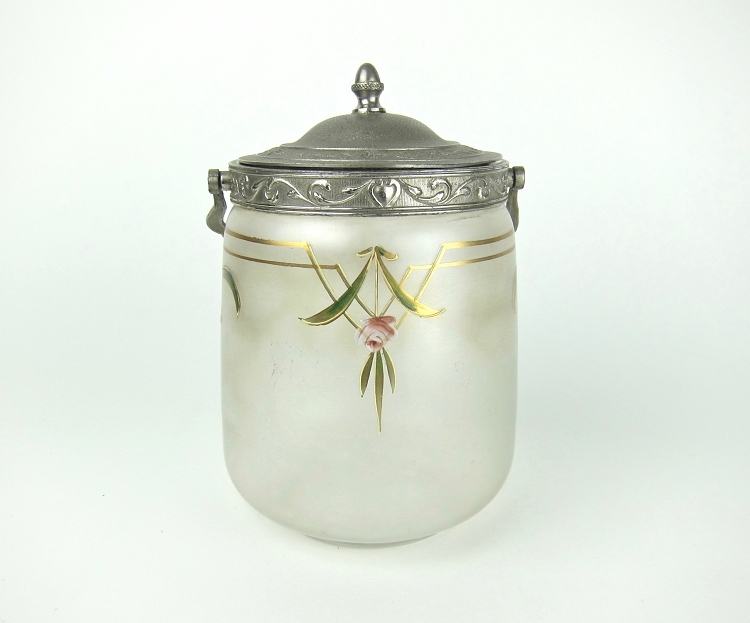 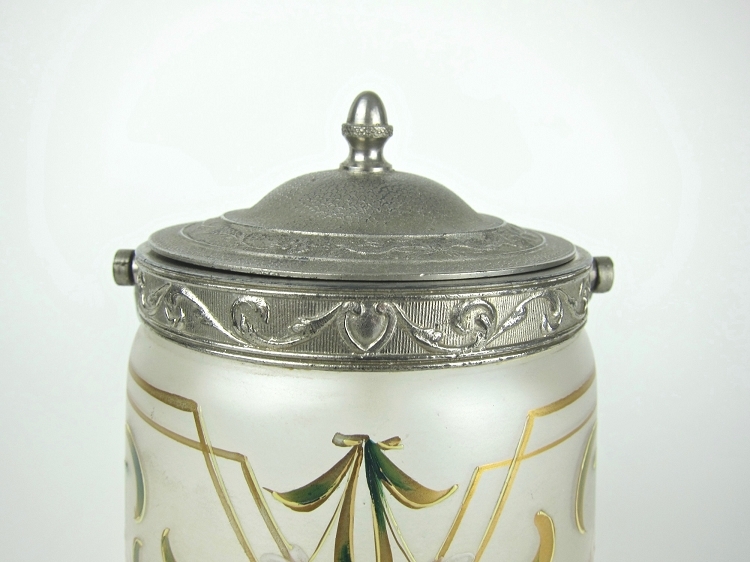 An Art Nouveau biscuit barrel or cookie jar of frosted satin glass with a silvered metal rim, removable top, and bail handle dating to the late 19th / early 20th century. 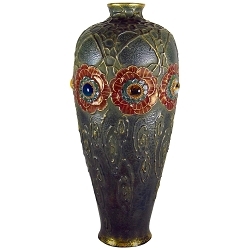 The body is decorated with hand-painted raised enamels in the Art Nouveau / Jugendstil taste. 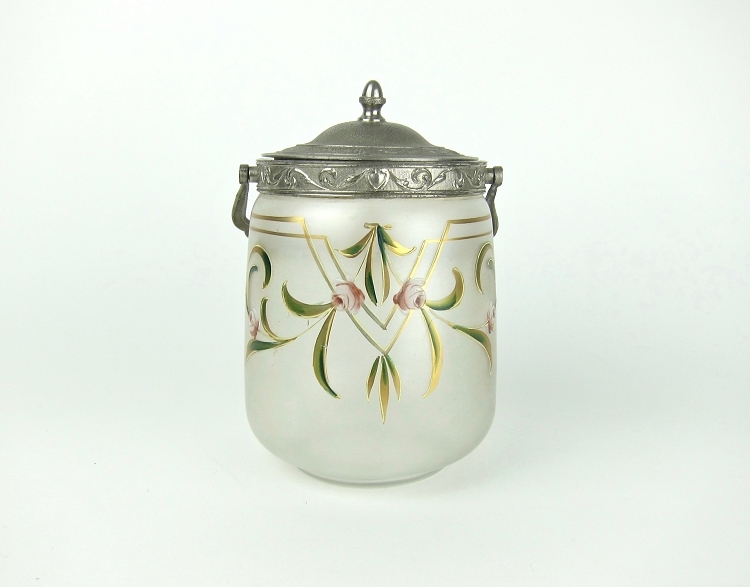 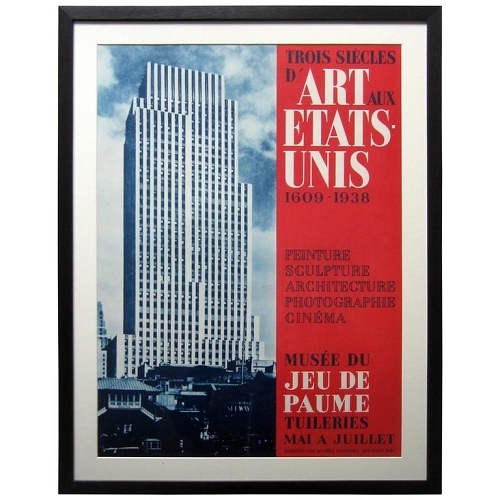 The piece is unmarked but the likely of French origin as the form and enameling closely resemble the work of Legras & Cie. / Mont Joye & Cie. of St Denis, Paris, France (1864-1914). 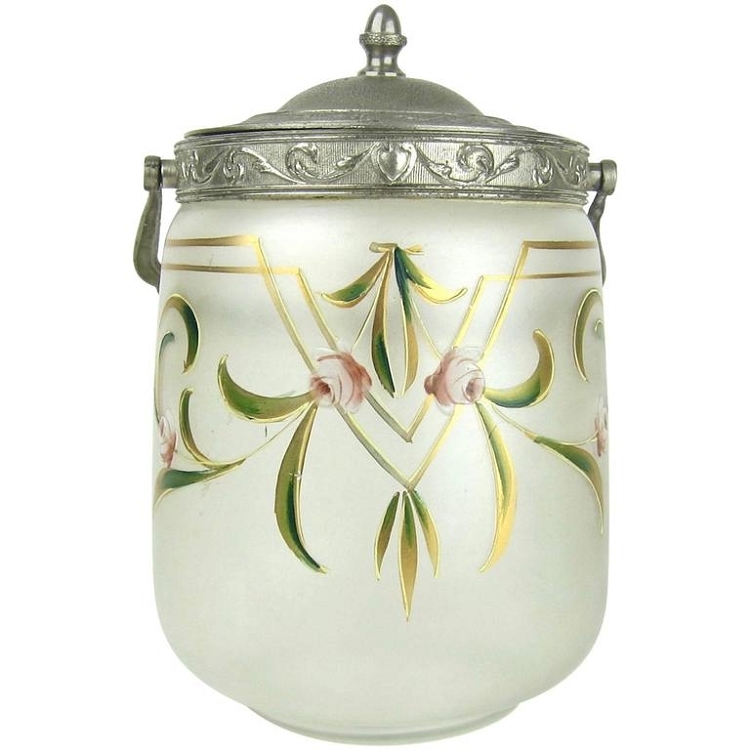 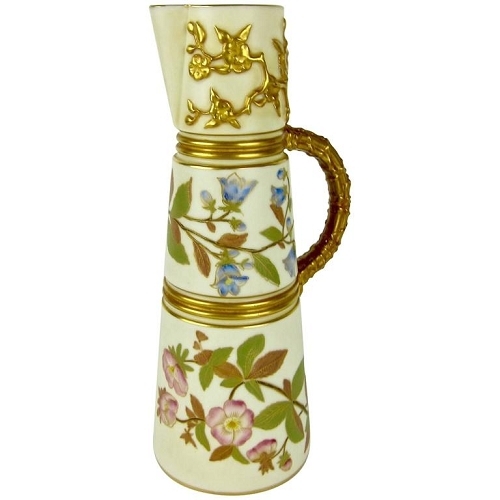 The enameled decoration consists of hand-painted gold lines and leaves accented with ivory and green with five delicate pink and white rose blossoms interspersed through the design. 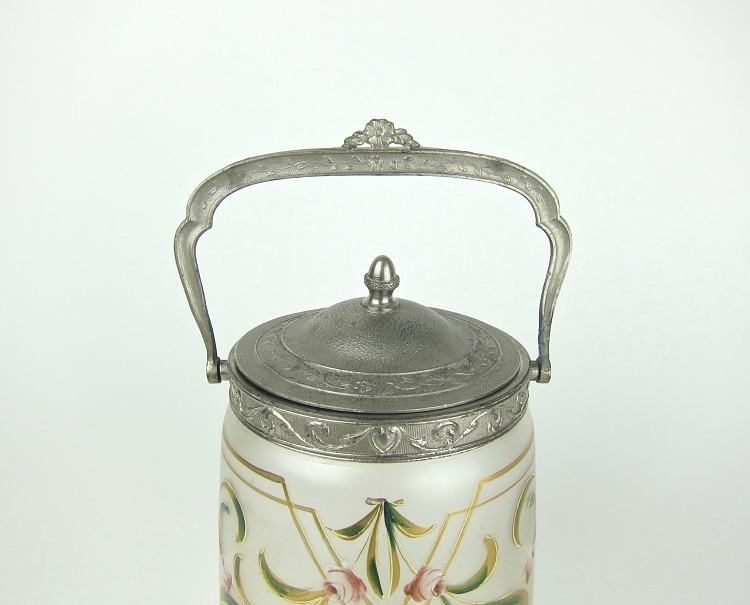 Good condition with some wear including typical darkened and worn spots on the metal (where lid sits) and small scuffs / scratches to the decoration and glass. 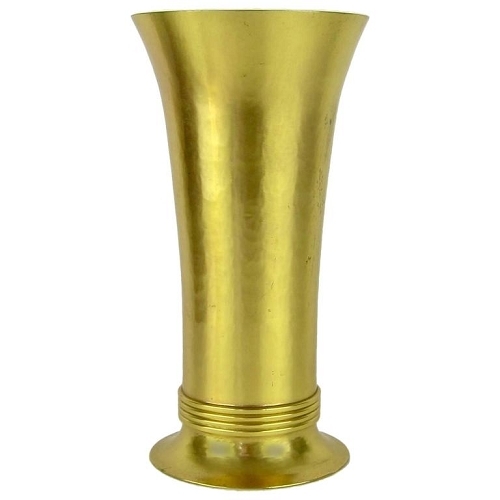 The lower right handle appears to have been reinforced in the past. 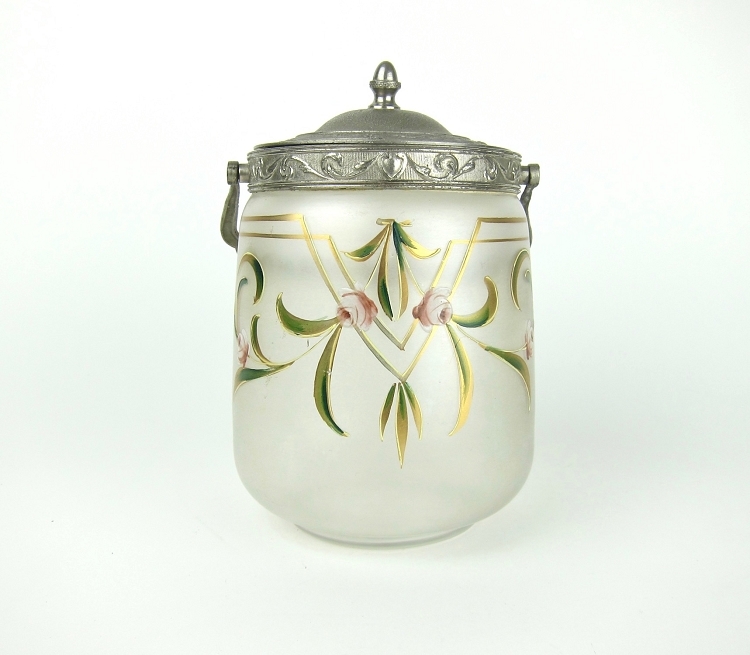 The antique vessel measures 7.75 in. 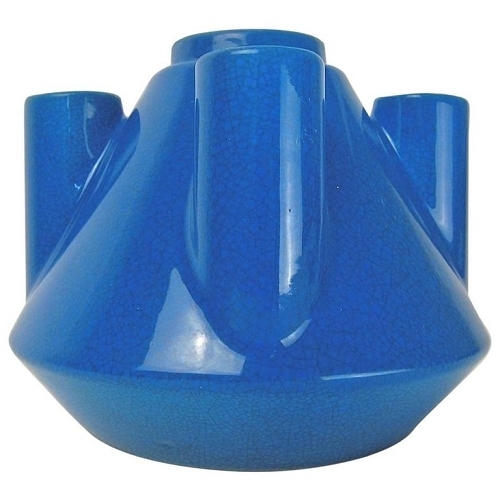 H (to finial) x 5 in diameter.